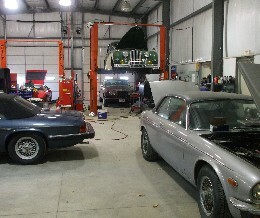 At Upton Foreign Motors, we offer a total service plan and can handle anything you want help with. You've heard the old saying "If you want something done right, you have to do it yourself" and to a large extent that's true. But there's an exception to that rule which goes like this "Or, ask a trusted friend for help". At Upton Foreign Motors, the owner Dana Schwehr is your trustworthy friend. When you bring your car to Upton, you'll receive every courtesy, affordable service and top quality repairs. Dana Schwehr is an ASE certified mechanic, with over 20 years experience.